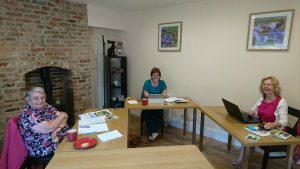 Join us for the day on this Writing Retreat where you can find time and space to bring along your own writing and work on it away from everyday distractions. Our venue is the Merry Room in The Garden Cottage of Gibside, the National Trust’s 18th century pleasure grounds. Discover inspiration with a Spring wander through the woods, find a quiet spot in the walled garden or visit the chapel or orangery. Everyone welcome including those new to writing and whether you write creatively or for business. An ideal opportunity to start that short story, plot your drama, work on your novel, be inspired to poetry or catch up on blogging.